Every day, 500+ people visit the 12,000 square foot Jivamukti Yoga School in downtown Manhattan (Union Square), one of the largest and oldest yoga centers in the U.S. The New York school was the birthplace of Jivamukti Yoga. Ahimsa is integrated into all aspects of the school. The school’s interior incorporates such eco-friendly materials as reused and recycled furniture, non-toxic building materials and water saving fixtures. And the roomy classrooms—with high ceilings and stained glass panels adorning the windows—provide a sublime setting for practices designed to lead one to enlightenment. 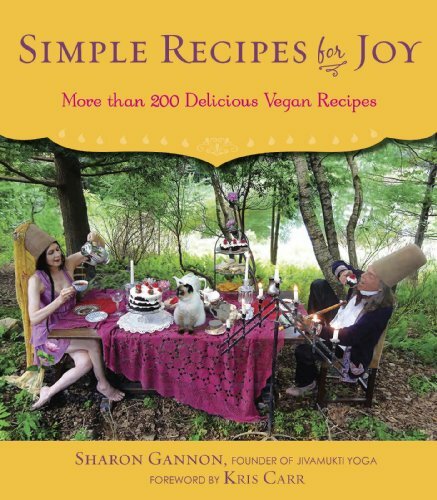 Overlooking bustling Broadway is the Jivamuktea Café, an all-vegan, organic café featuring culinary creations by Sharon Gannon, served in a beautiful, airy setting. The general public can join yogis, relaxing before or after classes, to enjoy light fare like salads, soups and sandwiches, as well as more hearty entrees. The café is famous for its chakra rainbow smoothies, chocolate mousse and a wide selection of organic, private-label teas. The retail shop specializes in organic and sustainable materials, from organic hemp clothing to non-PVC yoga mats to vegan pet food. The school is public transportation friendly (being located right at the Union Square subway hub). But Jivamukti is more than an eco friendly yoga studio and vegan café—it’s about community and awakening. As David Life remarks, “our belief is that yoga means ‘union,’ a joining of people who still care about each other and the world around us.” The school is a place for satsang, a gathering of like-minded people who believe that awakening is possible. “Our goal is to inject social awareness, environmentalism, animal rights and vegetarianism into the mainstream yoga world,” David says. It’s all connected, of course; and that’s what the name Jivamukti means, liberation from separation. In addition to a busy schedule of yoga, meditation and Sanskrit classes, Jivamukti offers educational events to introduce yoga students to new voices and ideas and broaden the community. The school regularly hosts fund-raising benefits for animal, environmental and human rights causes, as well as book launches and film premiers. Parts of this description are based on Jivamukti: Teaching Peace, an article by Catherine Clyne which appeared in the June/July 2006 issue of Satya magazine. Read Getting Green in the Big Apple, an article about the 2006 opening of the New York Jivamukti Yoga School at 841 Broadway, by Andrea Rollefson, that appeared in Ascent Magazine.